Marine Le Pen visits Putin, Frauke Petry visited recently the State Duma in Russia, the Austrian Freedom Party and Italy’s Lega Nord signed agreements with Moscow’s governing United Russia party. Gianluca Savoini is the president of the Lombardy-Russia Association and close advisor on Russian affairs of the leader of the Lega Nord party, Matteo Salvini. In an exclusive FreeWestMedia-interview he speaks about the importance of positive relations between the Euroskeptic movements and Russia. Mr. Savoini, the Italian state is part of the anti-Russian sanctions front. What are the consequences for Italy’s economy? And what would be the consequences if the sanctions last for some years? Savoini: The sanctions against Russia are a disaster for the Italian economy. They have caused the loss of about six billion Euros. An Italian government favorable to defending the interests of its people would lift the sanctions immediately. But it is a government that serves the interests of the large financial lobbies and it shows total obedience to them. I am sure that EU will unfortunately prolong the anti-Russian sanctions and the disaster will continue. At the same time there is growing opposition against the sanctions in Italy. Even former Prime Minister Matteo Renzi expressed criticism several times. How serious is that opposition by the Italian government? against Russia. He is only a talker and he says everything – and later even the opposite. He has always done so and even his party got tired of him. 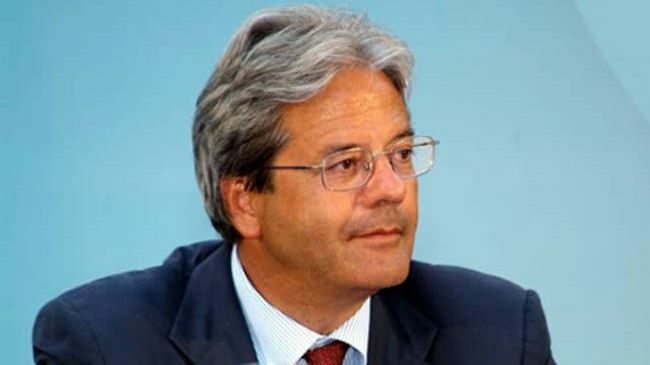 His successor Gentiloni (pictured) is his poor imitation: in words he says that the sanctions have to be discussed, but in the end he votes as decided by Brussels. These governments of the left say one thing, but then they do the opposite. How is the public opinion in Italy when it comes to the politics towards Russia? Savoini: The Italian people are not hostile towards Russia. They have known for many years that there is no longer the Soviet Union. Generally they love the most famous Russian cities such as St. Petersburg and Moscow. The Russian composers, the great writers such as Dostoevsky and Tolstoy, the Russian ballet, caviar and vodka – these things are all very popular in Italy. You can’t find ordinary people who are in favor of economic sanctions against Moscow because they do not understand why. Conventional wisdom! Savoini: Not only Veneto but also Lombardy approved a similar document presented by Lega Nord. 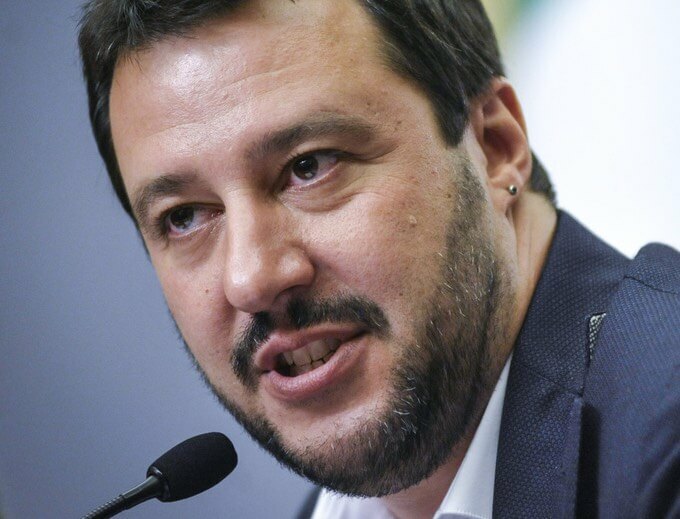 The centralist government in Rome did not appreciate this document, but the two most important regions of Italy – the regions that together produce more than 20 percent of the Italian GDP – confirmed the policy of Lega. Veneto and Lombardy in the autumn will hold an autonomy referendum, and this will be an important occasion to be in the position to adopt a foreign policy which is not obedient towards Brussels. Italy’s main opposition leader Matteo Salvini from Lega Nord is one of the most popular supporters for good relations with Russia. You accompany and advise him. What is his motivation? Alexey Komov, the Russian representative of the “World Families Forum”. 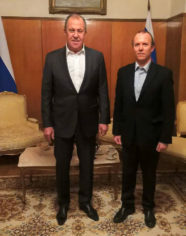 A few months later I was with Matteo in Moscow where we visited the State Duma and we were as well in Crimea to meet President Aksionov. Lega Nord has always defended the cultural identity and the principle of sovereignty. In 1999 for example, Lega was the only Italian party that opposed the attack of NATO against Serbia and I remember very well how I personally went to Belgrade when it suffered NATO-bombardment. Salvini has reinforced these ideals trying to strengthen the bonds of friendship with Russia. Russia is now the “old Europe”, the Europe of values, of peoples, and tradition. The EU is the embodiment of globalism bureaucratic service.